Instead of the traditional ham or turkey, why not try something new. At the same time you will supporting Palestinian farmers. 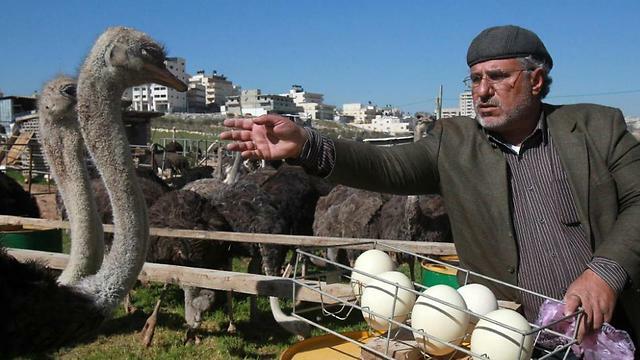 Fifty-year-old farmer Abdelrahman Abu Tir, whose name coincidentally translates as “father of the bird”, has for the last three years been farming ostriches for meat as part of a unique project in the Palestinian Territories. Picking at tufts of coarse grass, Abu Tir’s giant birds – normally spotted on the plains of Africa – look out of place in the village of Dar Salah, where he keeps 200 of them on around two hectares (five acres) of land. 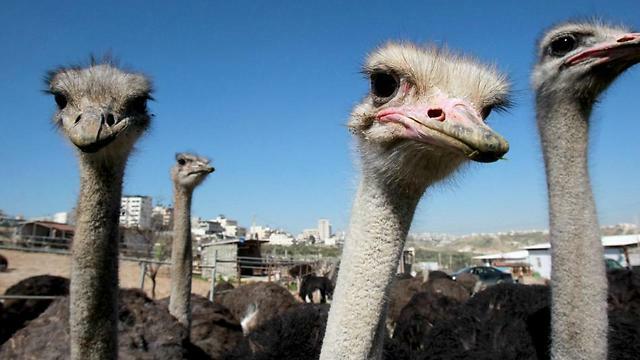 He said the idea for the farm came to him when Israel banned ostrich farming several years ago because it considers the animals a “protected wild species”. 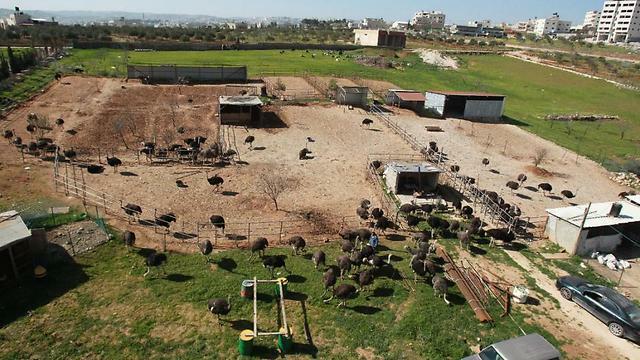 “I began buying the ostriches from Israeli farms when I saw that those farms were being closed” Abu Tir said. “It will take a while for the idea of eating ostrich to gain traction in the local market. For Palestinians it’s a strange meat and it’s also fairly expensive,” he said. 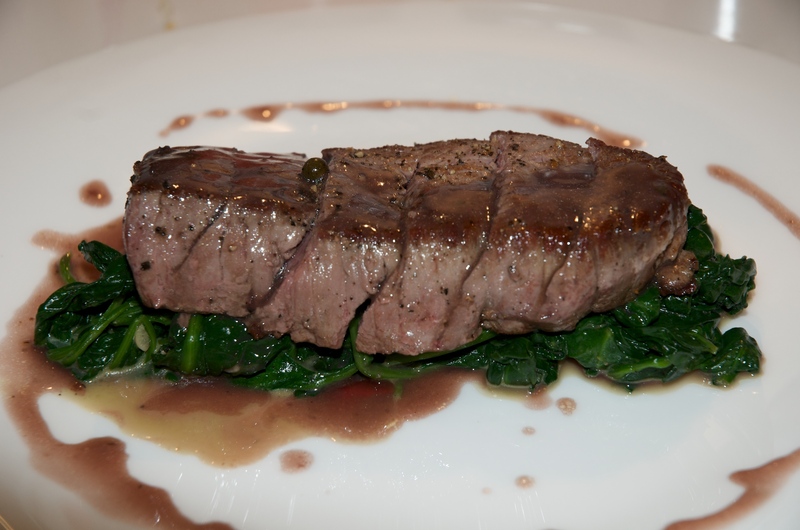 “Ostrich meat is better for your health, and the way they are farmed is much less damaging to the environment than with sheep or cattle,” he said. Palestinian agriculture has been suffering, with its share of GDP dropping from 77 percent 20 years ago to just five percent today – largely because of Israel’s control of areas of the West Bank through settlements and accompanying restrictions on access for Palestinian farmers. A group of young Palestinians are growing and selling the “first 100 percent Palestinian mushroom”, with packets appearing in supermarkets in the Palestinian administrative center in Ramallah. Four young Palestinian high-tech workers – Mahmud Kahil, Samir Khreisheh, Tayeb Aql and Wadie Nassar – quit their jobs so they could pursue the “Amoro” project, named after the type of mushroom they grow. “Ramallah itself consumes 2.5 to 3 tonnes of mushrooms each month,” Kahil said. “The goal is to sell 15 tonnes per month,” eventually expanding sales to the Gaza Strip and neighboring countries, he said.